Styling DesignVivid design, natural and coordination, it is more dynamic. Define DesignUsing 3D design, reflecting the festive atmosphere, to give a more direct definition thus rendering festive atmosphere. Fabric SelectionSelecting of highquality nonwoven fabrics, superb production technology into a comfortable texture fabrics, soft and delicate, even more warm festive atmosphere. Humanized DesignPaired design, highlighting its complete perfection, shaping the festival warm. 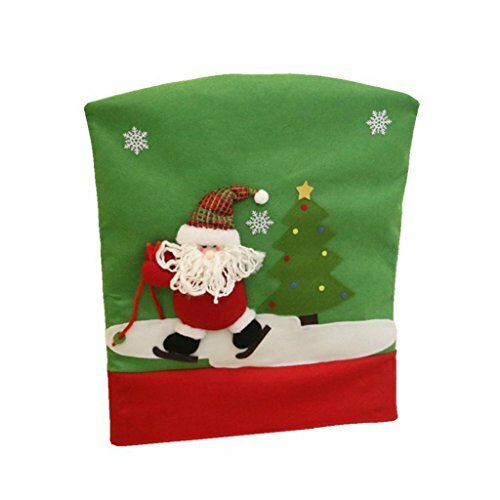 Dress up your chair with these Christmas chair covers, the Christmas decoration chair cover with good decoration can be also as a festival gift.